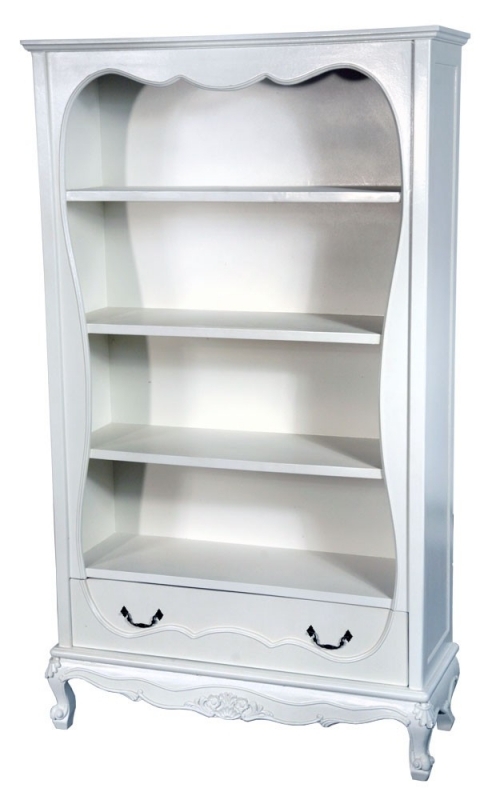 This Antique White BookCase creates an old, shabby chic, antique feel and will bring a sense of warmth to every environment. This stylish piece is beautifully hand crafted and has a large amount of storage space. Complete the look with other items from the range. Beautifully hand crafted Antique White Book Case. Generous shelving with a large bottom drawer. Delicate embelished detail with a smooth finish. Complete the look with other items from the range.